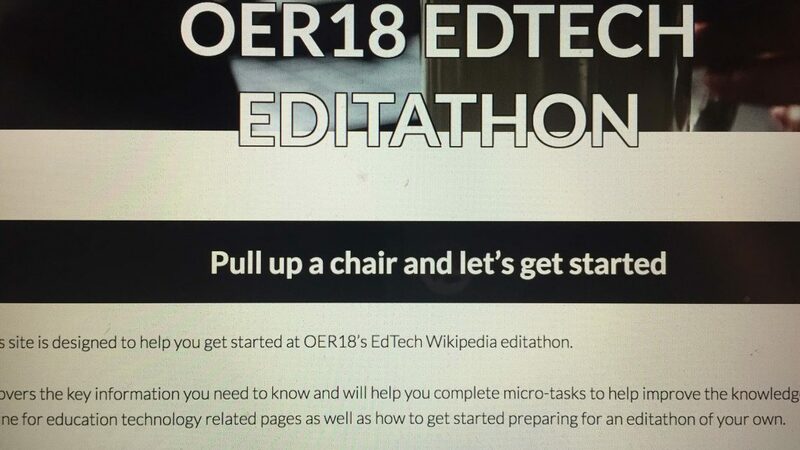 I went to check out the EdTech Wikipedia edit-a-thon session facilitated by Ewan McAndrew. Having been involved with OpenEd for a handful of years now, the topic of editing Wikipedia often comes up, but I’ve never actually tried my hand at it yet, so I thought this would be a good start. As soon as the session started, I spotted a SPLOT! 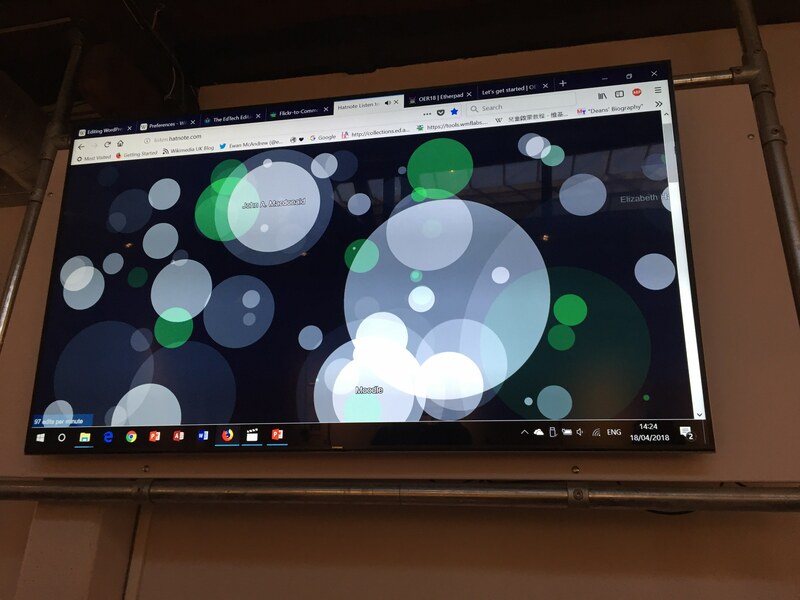 Once we got an introduction to what we were going to do, we signed-up for Wikipedia accounts, selected a topic (a list was provided) and got to work. Ewan took us through how to start sandboxes, or make edits to existing pages. Can you believe “e-learning” does not have it’s own Wikipedia page? We should work on that. When it came to selecting an image he mentioned that we need to use images from Wikimedia commons. Not too much to ask, after all that’s where I send many instructors who are looking to add images to their course material anyway. One thing that did come up was the use of CC licensed Flickr images. There is a quick tool you can use to bring CC images from Flickr into the Wikimedia commons so there’s no issue there. During the session we had music provided by Hatnore Listen to the Commons which is a site where everytime there is an edit on wikipedia a note is played. It was pretty zen. And hey! There’s our Moodle edit!